Both sexes fully winged. Body brown with red internal pigment; tarsi and apices of tibiae yellow, also antennal segments III–IV; fore wings brown but sharply white near base. Head with complex reticulate sculpture; three pairs of ocellar setae present, pair III anterolateral to ocellar triangle; inner margin of eyes with two pairs of stout postocular setae. 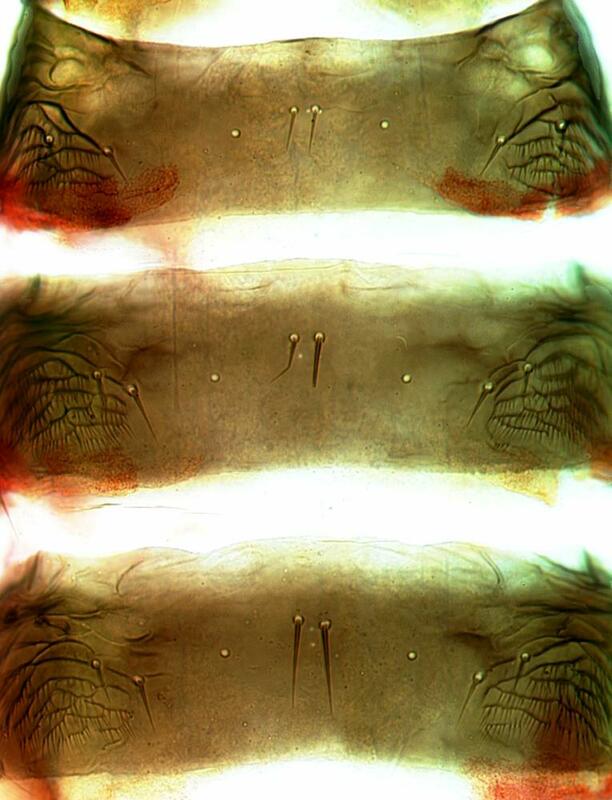 Antennae 8-segmented, segments III – IV with curved simple sensorium. Pronotum strongly reticulate, with two pairs of prominent posteroangular setae. Metanotum reticulate; median setae small, arising near anterior margin. Fore wing pointed, curving forward; first and costal veins with long capitate setae, second vein without setae. 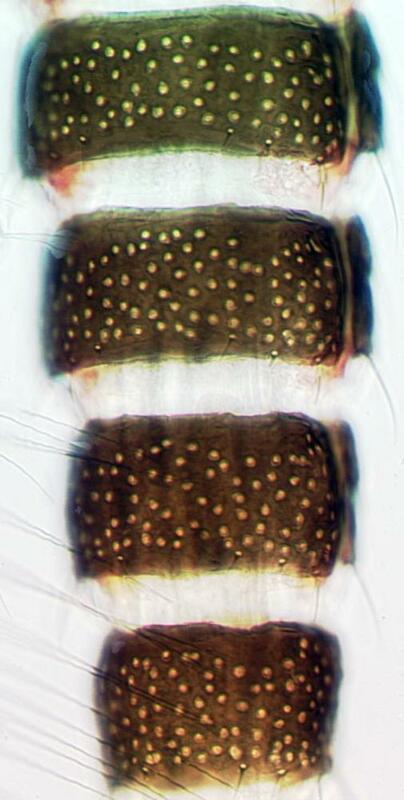 Abdominal tergites II–VIII with median paired setae long and close together; tergite lateral thirds with irregular rows of prominent microtrichia; VIII posteromarginal comb of microtrichia complete. 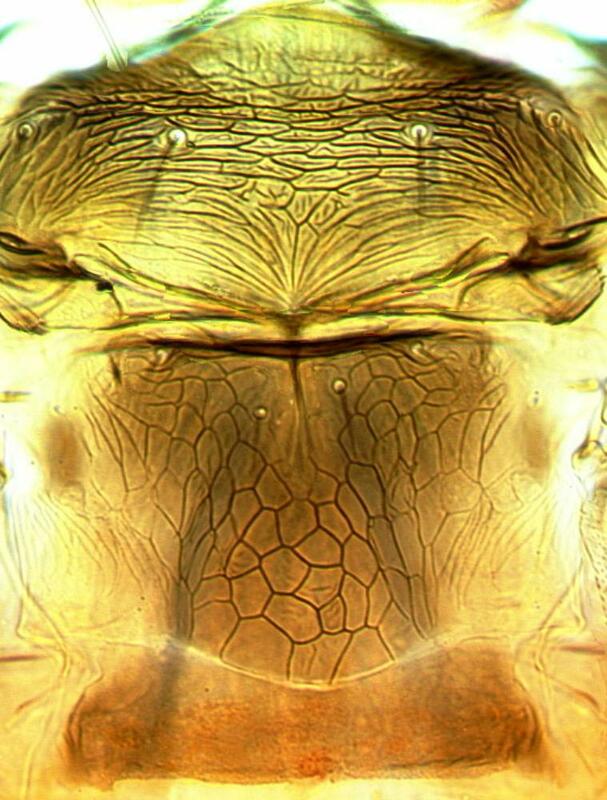 Sternites with marginal setae arising in front of margin. 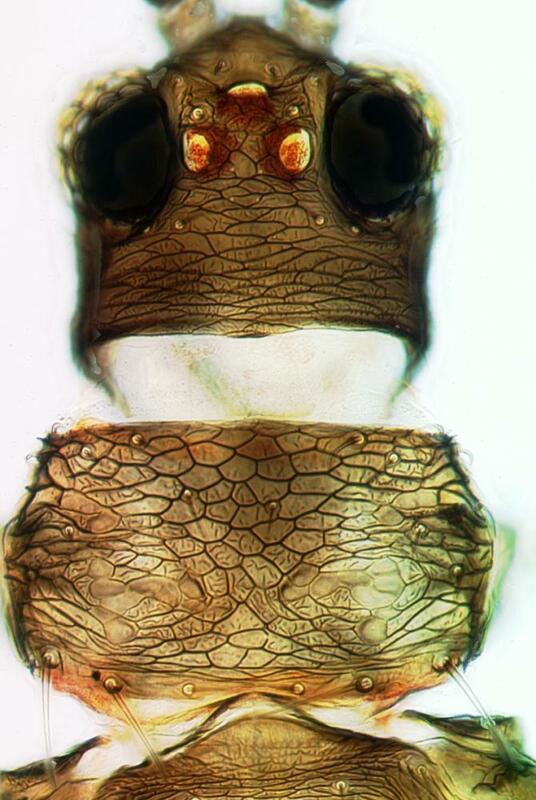 Male similar to female; sternites III–VIII each with up to 100 small circular pore plates. This species is not known from California, but is included here as a potential invader because it has become widespread in greenhouse crops. 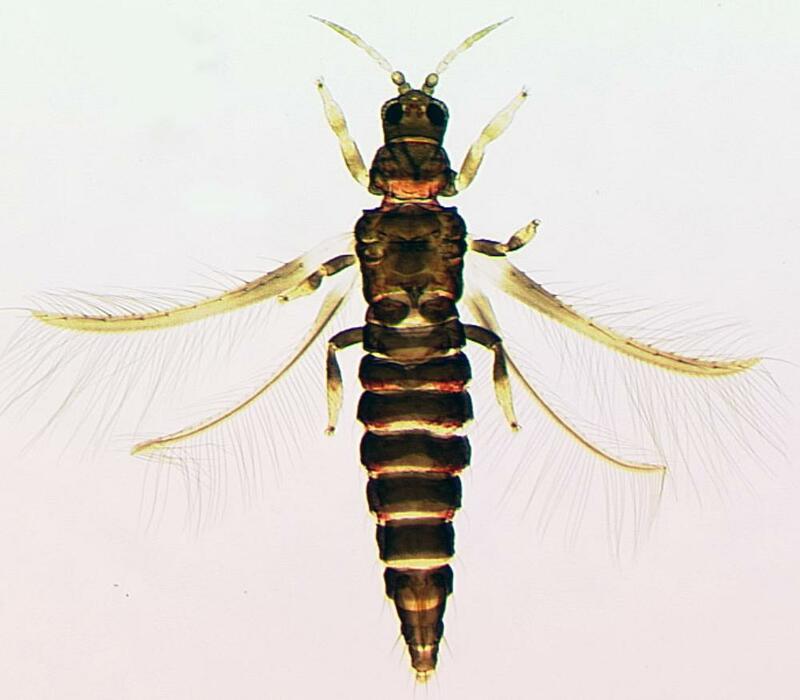 The genus Echinothrips includes only eight species, all of which are found between eastern North America and southern South America (Mound & Marullo, 1996). Impatiens (Balsaminaceae), Euphorbia pulcherrima (Euphorbiaceae), Dieffenbachia and Syngonium(Araceae), Cardamine hirsuta (Crucifeae), Hibiscus rosa-sinensis (Malvaceae). Usually causing only minor damage to leaves of glasshouse plants. Illinois to Florida, and since 1995 widespread across Europe (Vierbergen et al., 2006); also recorded from Thailand. Not yet known from California.